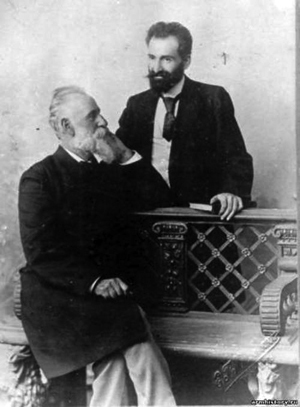 Ghazaros Aghayan was one of the important names in the literary and education awakening of Eastern Armenians in the late nineteenth century. He was born on April 4, 1840, in the Armenian village of Bolnis-Khachen, currently in Georgia. After receiving elementary education in his birthplace, in 1853 he entered the Nersisian School of Tiflis, but left after a year. He would become an autodidact. He worked as a typographer in Tiflis, Moscow, and St. Petersburg. In 1867 he returned to the Southern Caucasus, and became the manager of the printing house of Holy Etchmiadzin and the editor of the monthly Ararat of the Holy See (1869-1870). He later entered the educational field and taught in schools of Akhaltskha (Akhaltsikhe), Alexandropol (Gumri), Yerevan, and Shushi (1870-1882), and was also the diocesan director of the Armenian schools of Georgia. He was a theoretician of education. The aim of his pedagogical system was to develop “strong, smart, and virtuous” citizens. He gave preeminence to learning the mother tongue and to moral and esthetic education. He was against corporal punishments and favored co-ed schools, as well as practical education and physical education. He wrote many works in the field, and his textbook “Study of the Mother Tongue” was particularly appreciated; its first volume, with 33 printings, was the most commonly used first-grade textbook in Armenian schools for four decades (1875-1916. Aghayan, who wrote the first autobiographical novel in Armenian literature (“A rutin and Manuel,” 1867) was also a famed author of children’s poetry and tales; his tale “Anahit” (1881) is a classic of the genre. His fairy tale “Aregnazan” and his poem “Tork Angegh” are also well-known works. He worked in the editorial boards of the monthly Portz and the children journal Aghbiur. In 1895 he was arrested with the charge of being a member of the Hunchakian Party; he was exiled first to Nakhichevan-on-the-Don, and then to Crimea (1898-1900). He remained under police surveillance until the end of his life. 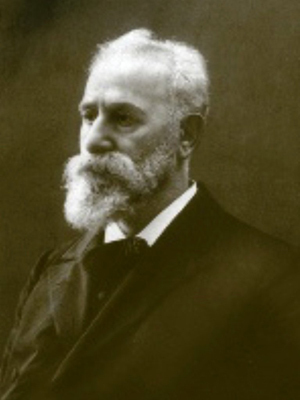 In the 1900s he was the elder member of the literary cenacle “Vernatun” (Attic), together with Hovhannes Tumanian, Avetik Isahakian, Levon Shant, and Derenik Demirjian. He passed away on June 20, 1911, in Tiflis.